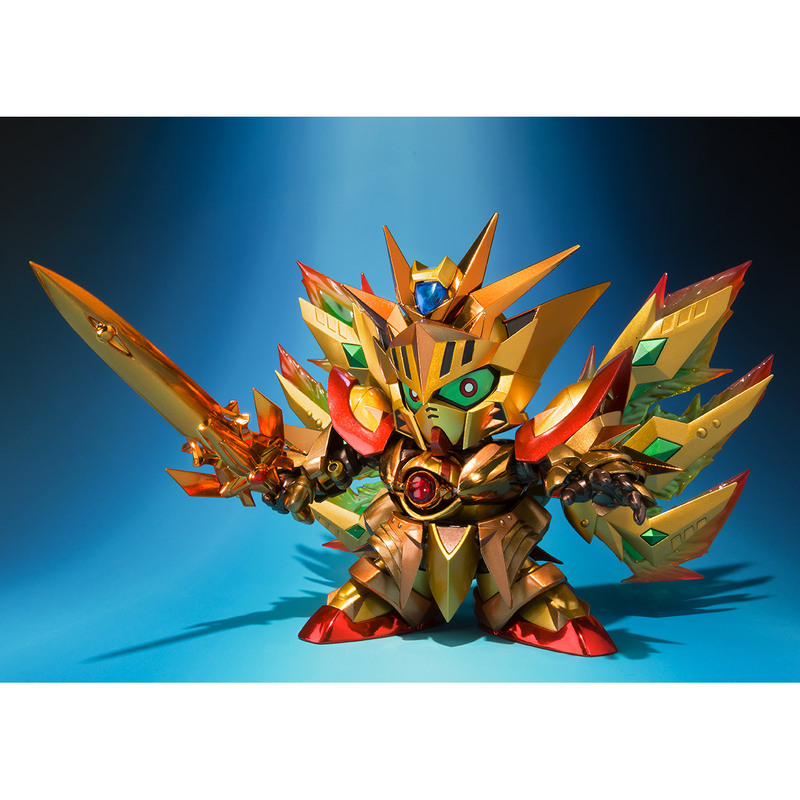 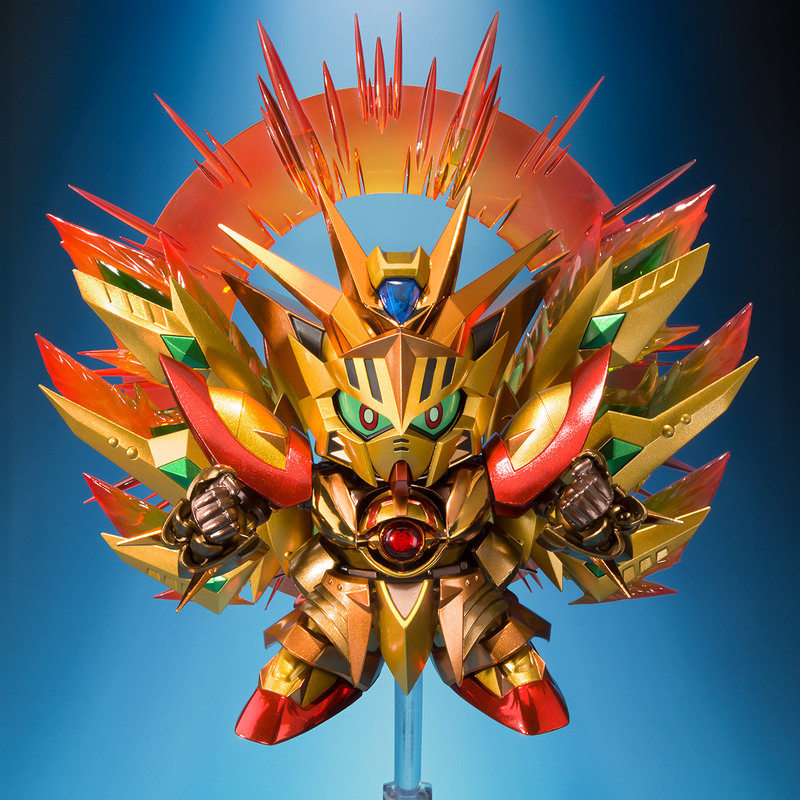 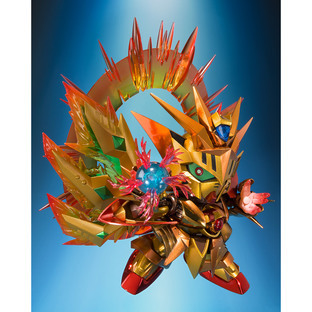 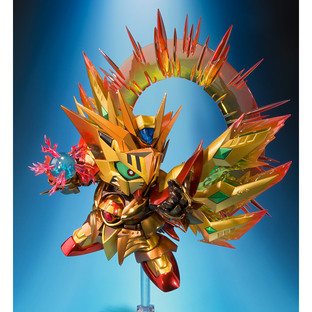 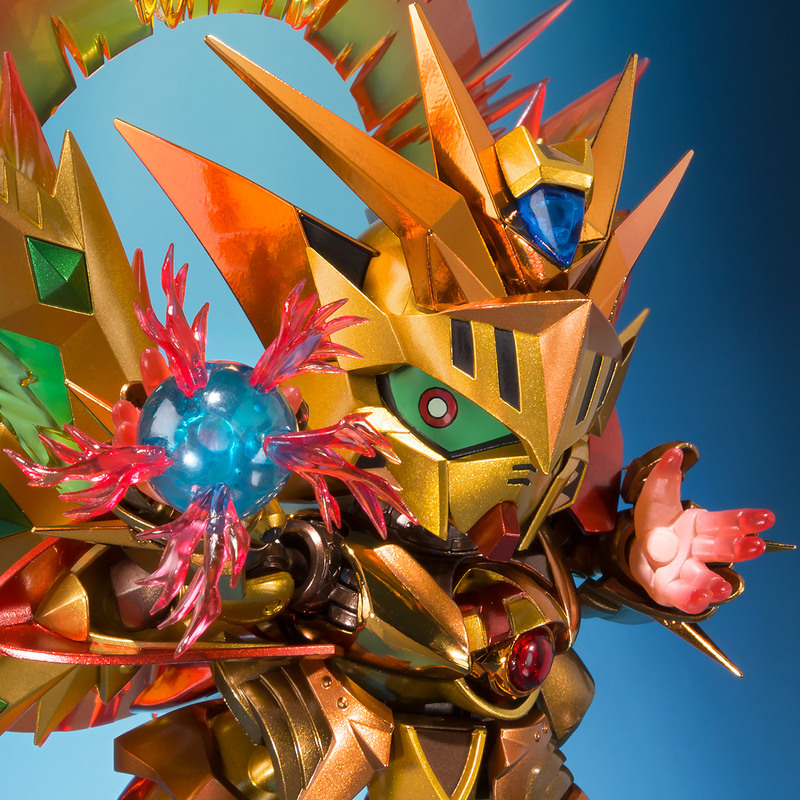 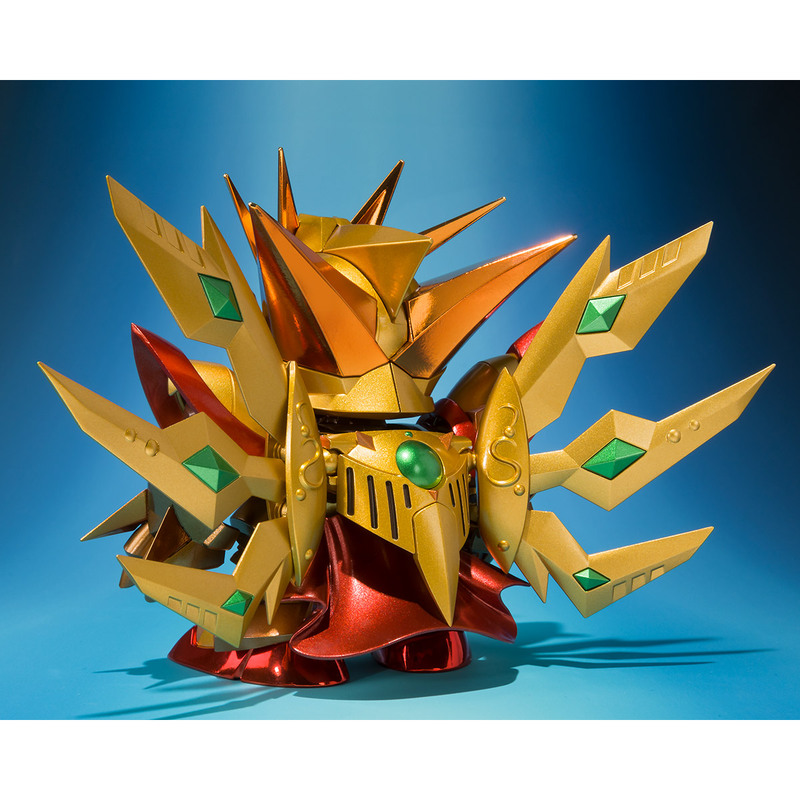 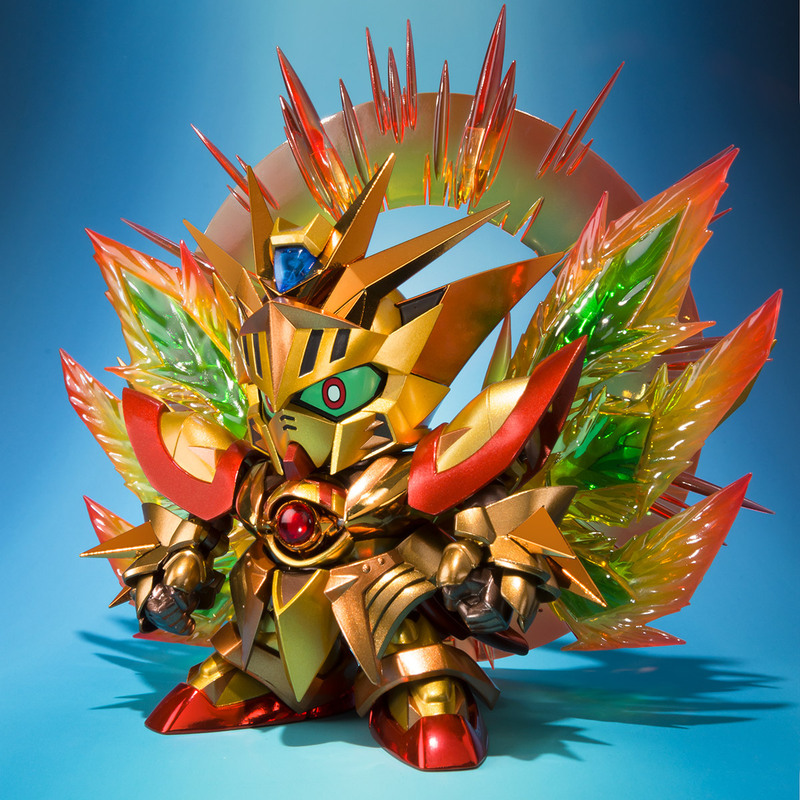 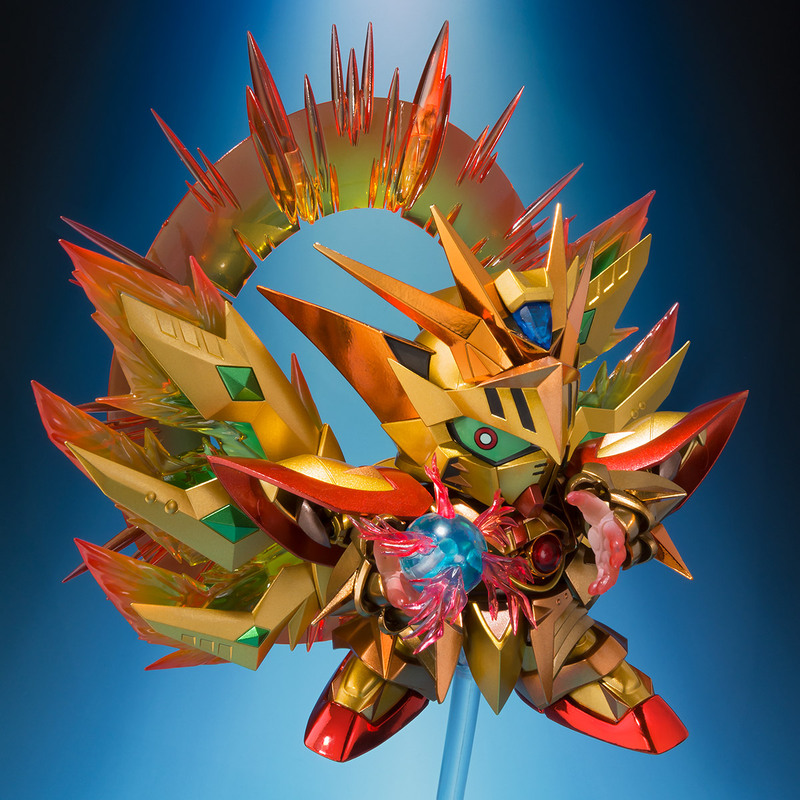 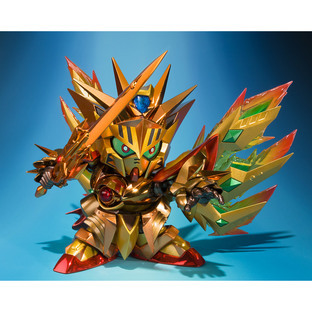 The recreation of Solar Knight God Gundam’s most powerful form where his whole body turns golden. 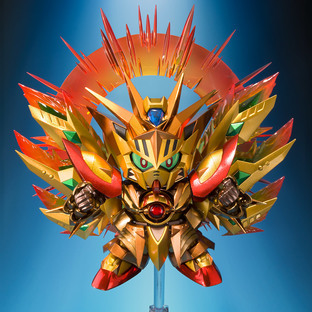 The diecast parts are made using gold and red plate coloring. 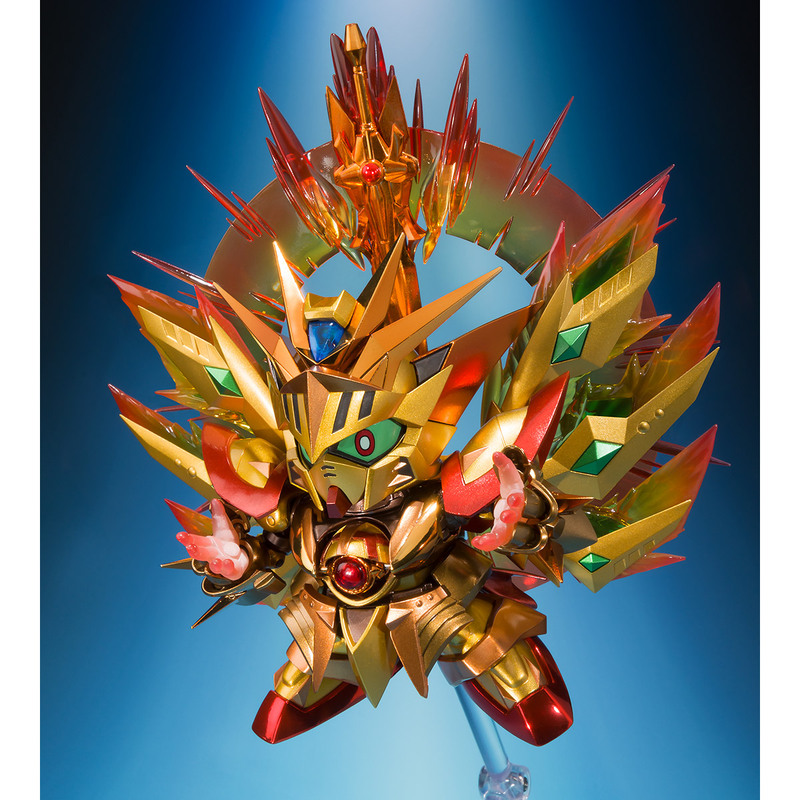 His horn, his primary feature, is made using gold plating, while the rest of the body is made with gold and red paint/coloring to recreate slight difference in its overall coloring.